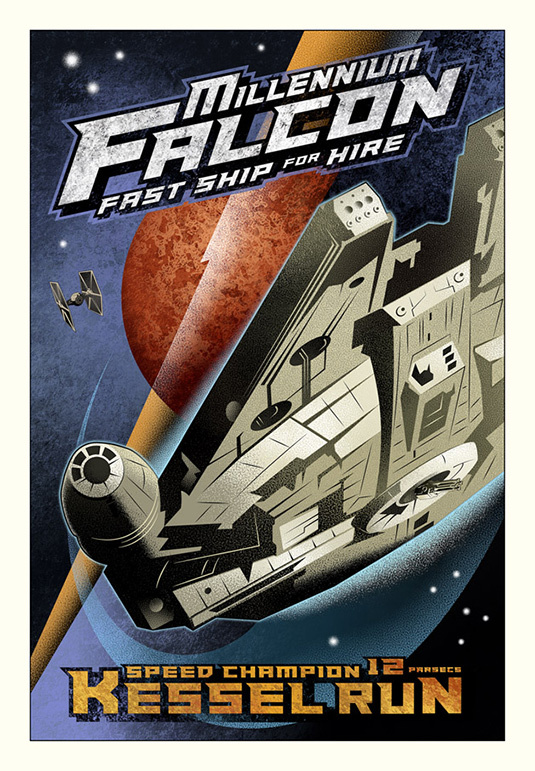 ACME Archives offering for the May the Fourth is this Kessel Run print by Mike Kungl. I like it, but i think that it’s more suited to their Dark Ink collection. It comes in two Canvas sizes (the large is 24.6″ by 35.5″ and is $600 and the small is 18″ by 26″ and priced at $400) the paper version is 14.5″ by 21.5″ and is $165. Alternatively, you can buy an artists proof from Mike Kungl’s website. This entry was posted in Art, Things that i don't have yet... and tagged Art, Mike Kungl, Millenium Falcon, Millennium Falcon, Star Wars. Bookmark the permalink.